TOKYO, Japan, June 20, 2010 (ENS) – Two prominent climate scientists – one from Great Britain and one from the United States – have been are the winners of the 2010 Blue Planet Prize, an international environmental award which is considered to be Japan’s equivalent of the Nobel Prize. Dr. Robert Watson, chief scientific adviser of the UK Department for Environment, Food and Rural Affairs, and chair of environmental science and science director at Tyndall Centre for Climate Change Research, the University of East Anglia, was named as one awardee in a ceremony in Tokyo on Thursday. 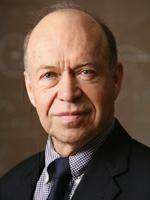 Dr. James Hansen, director at NASA’s Goddard Institute for Space Studies, where he has worked since 1967, and adjunct professor in the Department of Earth and Environmental Sciences at Columbia University, was named as the other awardee. Each recipient is presented with a certificate of merit, a commemorative trophy and an award of 50 million yen (US$550,600 or 372,000 pounds). Watson and Hansen will receive their awards on October 26 in Tokyo, where they will each give a commemorative lecture. The prize, first awarded in 1992, is sponsored by the Asahi Glass Foundation. It goes to individuals or organizations with outstanding achievements in applied scientific research who have helped to solve global environmental problems. A total of 800 nominators from Japan and 1,200 nominators from other countries recommended 105 candidates for the 2010 prize. Professor Watson was chosen because of his significant part in providing scientific evidence for the depletion of the ozone layer in the 1980s, leading to the Montreal Protocol which banned ozone-depleting substances such as CFCs, and for his more recent role in bringing together science and policy to protect the global climate, as a former chair of the Intergovernmental Panel on Climate Change. He developed a practical climate model that has been proven by abundant weather observation data, and he pioneered the understanding and forecasting of the Earth’s climate system. He predicted global warming in the future based on the climate model. In determining responsibility for climate change, Hansen has said that the effect of greenhouse gas emissions on climate is not determined by current emissions, but by accumulated emissions over the lifetime of greenhouse gases in the atmosphere. Hansen has called for putting fossil fuel company executives, including the chief executives of ExxonMobil and Peabody Coal, on trial for “high crimes against humanity and nature,” on the grounds that these and other fossil-fuel companies have spread doubt and misinformation about global warming, in the same way that tobacco companies tried to hide the link between smoking and cancer. During the administration of George W. Bush, Hansen said the White House edited climate-related press releases reported by federal agencies to make global warming seem less threatening. He claimed that he was unable to speak freely about the results of his research. In a 2004 presentation at hius alma mater, the University of Iowa, Hansen announced that he was told by high-ranking government officials not to talk about how human activities could have a dangerous effect on climate. Hansen has called on President Barack Obama to abolish mountaintop coal mining and has demonstrated against the practice. 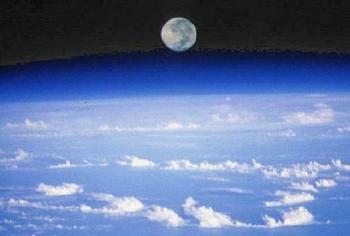 Dr. Watson has investigated atmospheric science issues including ozone depletion, global warming and paleoclimatology. Although British, Watson worked for many years in the United States and his career has been built on both science and policy. He served as environmental adviser to the Clinton administration. 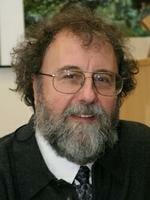 Watson is a former chief scientist with the World Bank and headed the bank’s Environment Department in the 1990s. He chaired the Intergovernmental Panel on Climate Change (IPCC) from 1997 to 2002 and was Board co-chair for the Millennium Ecosystem Assessment from 2000 to 2005. The Foundation says the name of the award was inspired by the remark “the Earth was blue,” uttered by the first human in space, Russian cosmonaut Yuri Gagarin.